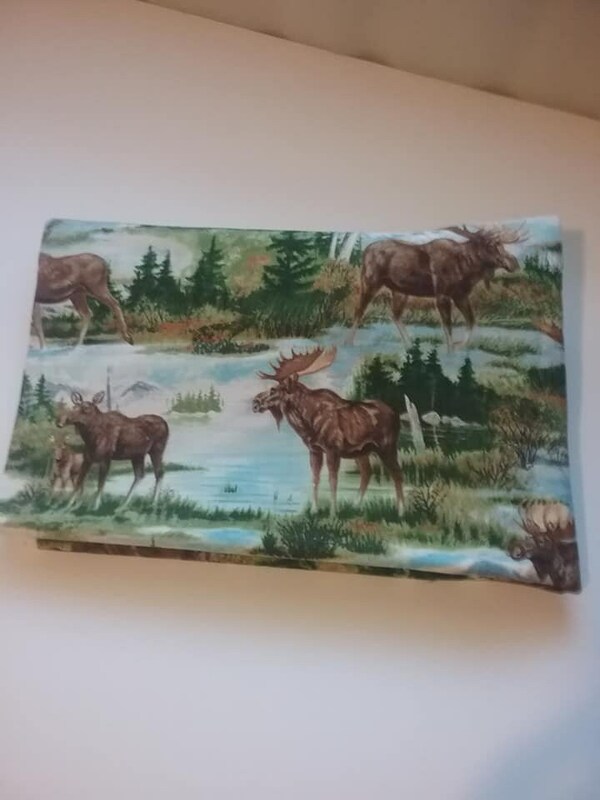 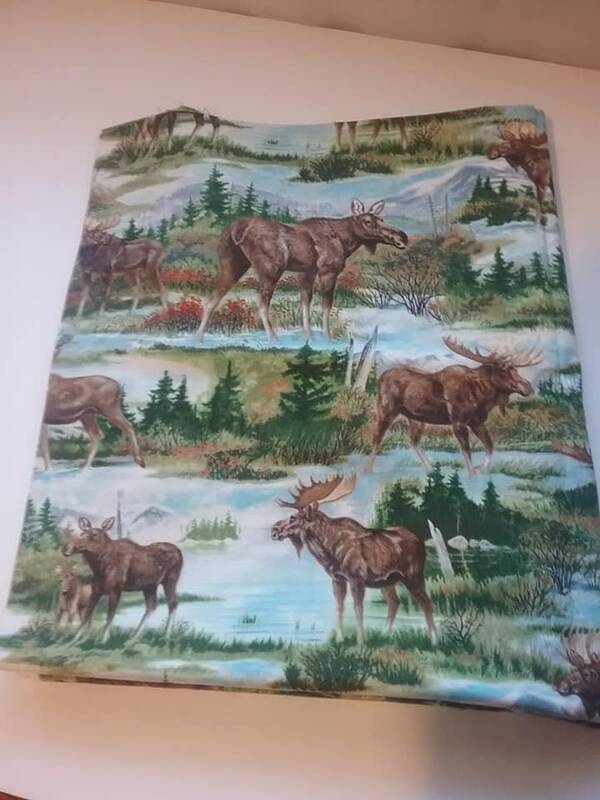 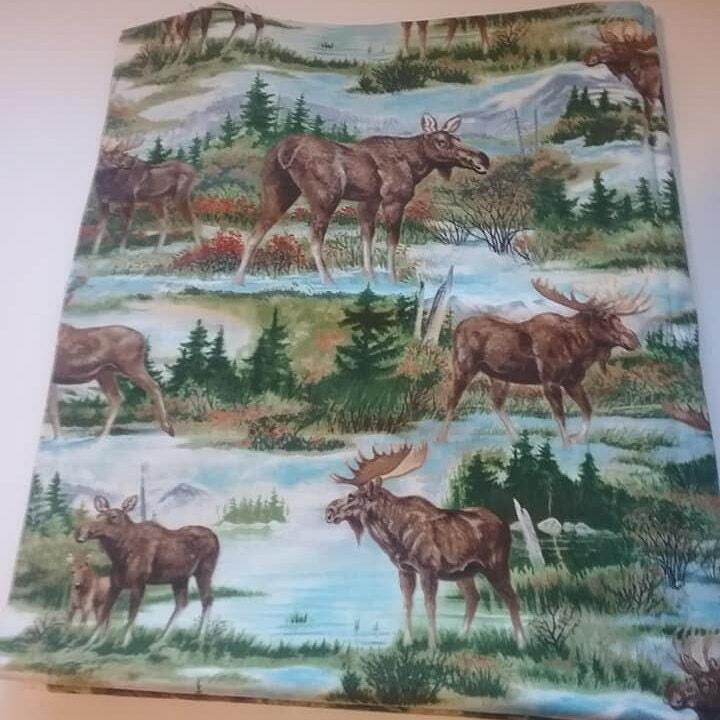 Vintage Moose Fabric, Into the North Collection. 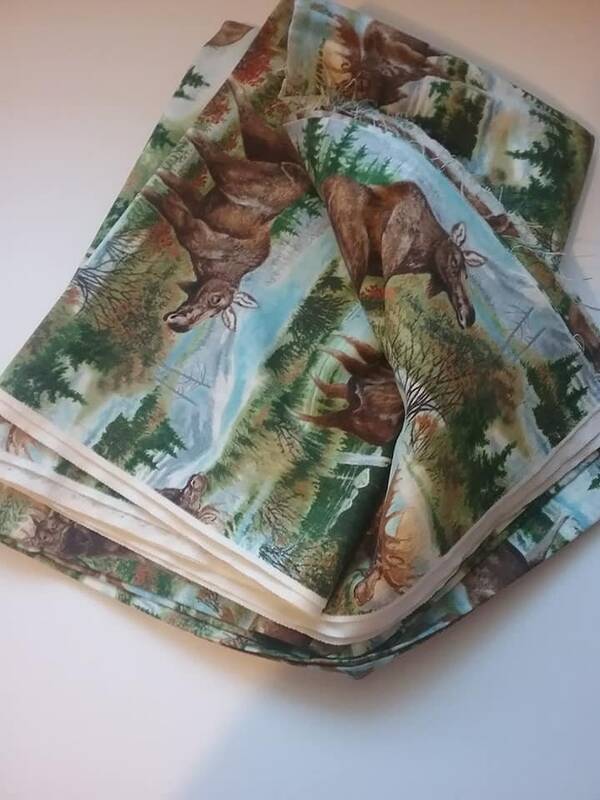 1.5 yards, 100% cotton. 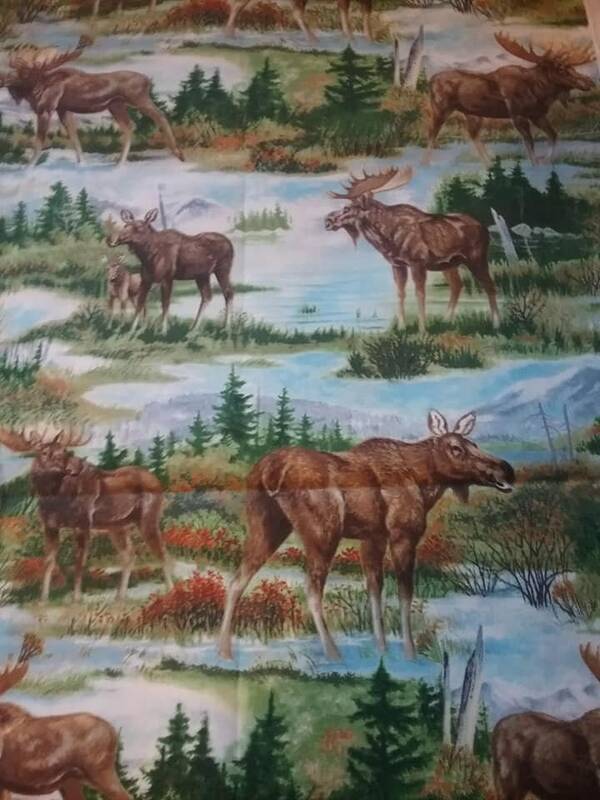 Gorgeous vintage scene of varied size moose in the Autumn colored wilderness. 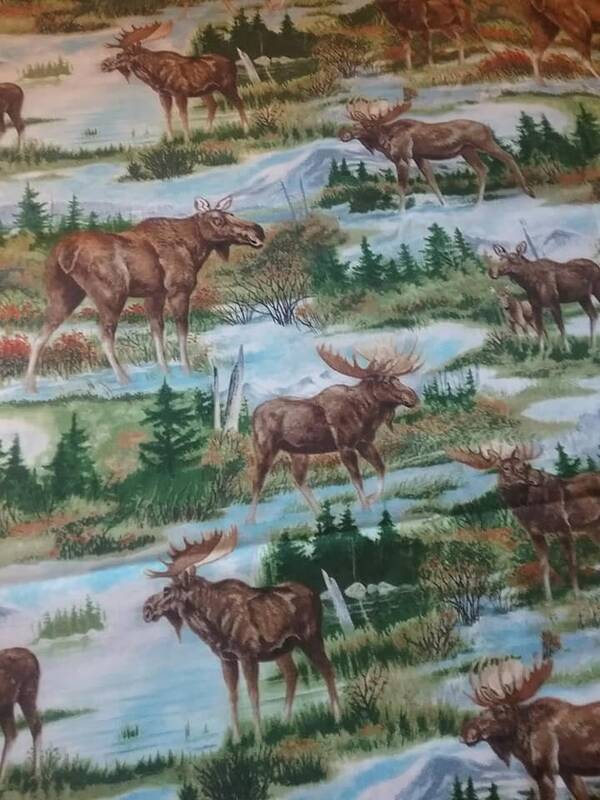 Lovely cushions for the cabin.